A wise architect once told me time is money and if there’s time to be saved then he is all ears. Joe, if you’rere adding this I hope all is well with you and family! When I first mentioned the use of the twain scan driver, I was asked is there is an additional cost. 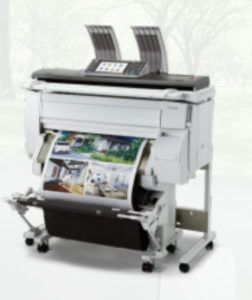 There is no additional cost for the twain driver because it is a standard feature with all of our Ricoh plotters. Other standard features included were color scanning, mobile printing, scan2box, scan2google drive, scan2ms365 and my favorite which is scan2dropbox. We understand that all Electrical Contractors are not the same, thus what’s good for one contractor may not be the preferred choice of another. It’s great that the Ricoh plotters can offer both push and pull scanning (twain) to everyone. At the end of the day it was the combination of the time saving twain scan driver and our ability to present a financial lease solution that lowered our client costs. Should I Lease or Buy a Ricoh MP6700SP in New Jersey? If you’d like to find out more about me, please visit my LinkedIn profile. Make sure you check out off the cool references too!